This is a custom dress created using a vintage slip, sheer nylon or chiffon, bits of recycled/vintage/NOS lace and trim and a handcrafted rose at the hip. I will create one specifically unique to you, similar to, but not exactly like, the one pictured. 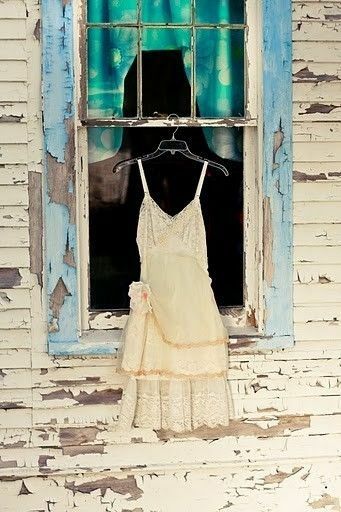 The base will be a lacy vintage slip of my or your choosing, and I can create it in any color, as I dye everything myself! It can also be create long or tea length. 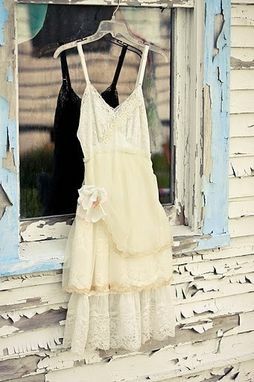 This dress would make a beautiful seaside or backyard wedding dress, or even a bridesmaid dress. Thank you for looking and I look forward to working with you to create something special, just for you!